Every time you update an Android app on Google Play, you don't have to completely download the whole thing all over again; the service is smart enough to only send your phone the parts that have changed. Now Google Play has gained the ability to tell you just how big that download's going to be. Instead of re-downloading an entire app each time a new version comes out, four years ago Google gave the Play Store the ability to deliver “delta” updates to our phones and tablets, containing only the parts that had changed between the old app we had currently installed, and this new version. 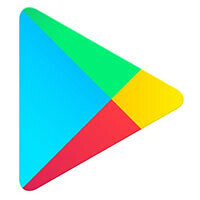 If a 50MB app added some new icons, instead of having to download the complete 50MB package when updating, Google Play would instead update just those icons – a much smaller download. While this was all very convenient, especially for those of us on slower connections or with limited data plans, it's been difficult to know precisely what to expect from these delta updates before installing them. A big part of that is because the Play Store still displayed an app's full size when viewing its details. Now that's finally changing in order to only show the size of the delta update – the actual amount of data your phone will download when updating. Especially if you're near the top of your monthly data cap, that could be very useful information to have, letting you know if you can grab an app's latest update without exceeding your plan's limits. If the version of an app on your phone is already up to date, Google Play won't display any file size for it at all. But if you do need to install an update, the file size you see should now accurately reflect what you're about to download. That's great. Not knowing the update size has always been something I hate about the Play store. Seriously, I still remember those days when updating Asphalt or Modern Combat was a nightmare. It's always good to know what you're getting. Shame it can't show the amount of butthurt you experience with each Google article. Probably peg the needle.